It began with a tweet on January 4th from Keith Jennings, a marketing strategist and blogger that I have followed off and on for a couple of years. Any writers looking for accountability and a challenge were encouraged to visit Jeff Goins’ website for more details. I had subscribed to Jeff’s blog for quite some time, but for whatever reason, I had not read him as often as once I had. It seemed like this was a good opportunity to reacquaint myself with Mr. Goins, and so I headed off to his website. 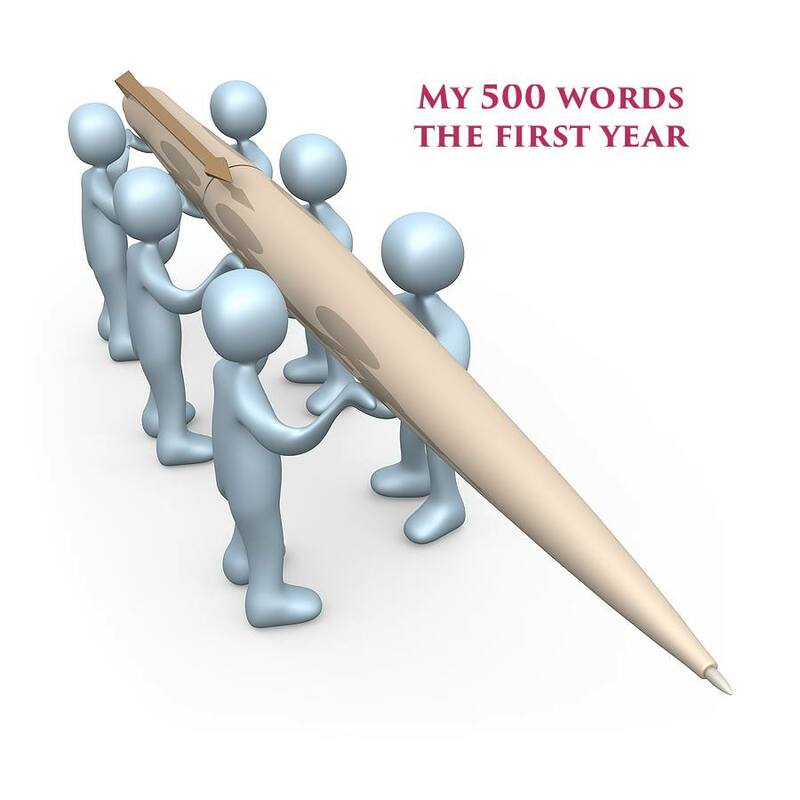 The challenge seemed simple enough: Write a minimum of 500 words a day, every day, for the entire month of January. The content was up to the individual but if anyone were looking for an idea, a new prompt would be posted each day onto the “My 500 Words” Facebook page. We were to post our word count daily and, if we wanted, we could share what we had written that day. Jeff added me the same day I signed up and I thought “I can do anything for 27 days”. The discipline was excruciating at times. The time I couldn’t think of anything to write and so decided to write as many song titles as I could remember (it’s amazing how many one- or two-word song titles there are). The next time I couldn’t think of anything to write and decided to write my own name 500 times. The multiple times when schedules or my own resistance (or Resistance, as Mr. Pressfield might say) meant I was sitting down to my laptop at 11:30PM and me with a 4:30AM wake-up call for work. But I learned and my writing muscles got stronger. And then the end of the month came, and the idea of saying “Farewell” to my new friends had become inconceivable. The group continued on and so did I, encouraging where I could, writing almost every day, even when I went to Sturgis for Bike Week (Hey, you try writing by head lamp at 10:30 at night after being on a motorcycle for 200 – 300 miles). I went to Camp (NaNoWriMo) for the first time and met my goal and then I tackled the Big One: NaNoWriMo in November. I fell far short of the 50,000 word target, but found a victory even in the failure: I had learned to course correct in midstream and the 37,000 words I ended up with were 37,000 more than what I had started with. So what lies ahead in 2015? Who knows? All I know is that it’s going to be a great adventure and one I’m looking forward to sharing with my clan, those of us who continue to commit to writing 500 words a day. Sorry ya’ll, you’re not getting rid of me any time soon! This entry was posted in Writing and tagged encouragement, friendship, gratitude, My 500 Words by Carryl R. Bookmark the permalink. “I have discovered a sense of (word) play that I thought had long been lost and have felt the first pangs that tell me the dreams I once flirted with a long time ago have not given up on me.” I love the whole post, but this – this is the best! Here’s to continued writing success in the new year! Thank you, Debbie! Happy New Year to you, too, and here’s to many more writing triumphs for all of us! I know I could never have gotten as far as I did with out the support of the “My 500 Words” gang. It just goes to show you that we can’t do this all on our lonesomes. I am so grateful I have this awesome community to lean on! Thank you very much for stopping by and all the best to you in 2015!